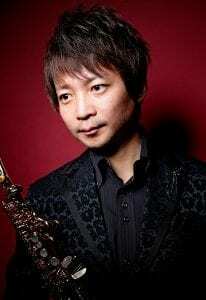 He was born in Sendai and studied the saxophone with Furumizo Toru, Kumoi Masato. He made his stage debut during studying at Aichi University of the Arts. After that, he started his saxophone performance all around in Japan as a solo, a part of chamber music, and a guest member of some orchestras. Then, he graduated from Aichi University of the Arts Graduate School. He has performed as a special guest appearance so far with Nagoya Philharmonic Orchestra, Sendai Philharmonic Orchestra, Aichi Chamber Orchestra, and so on. Moreover, he has co-starred as a guest soloist or a conductor with various amateur brass bands or chorus groups. In addition, he has a lot of opportunities as a special guest player to participate in some of orchestras in Japan such as Nagoya Philharmonic Orchestra. He is a member of Arion Saxophone Quartet. He is also a teacher of Music Course at Aichi Prefectural Meiwa High School. He released a CD “the BAROQUE Sax (PMO-1001)” as a solo, and “Arion’s Harp (FLCP-21027)” as a member of Arion Saxophone Quartet.